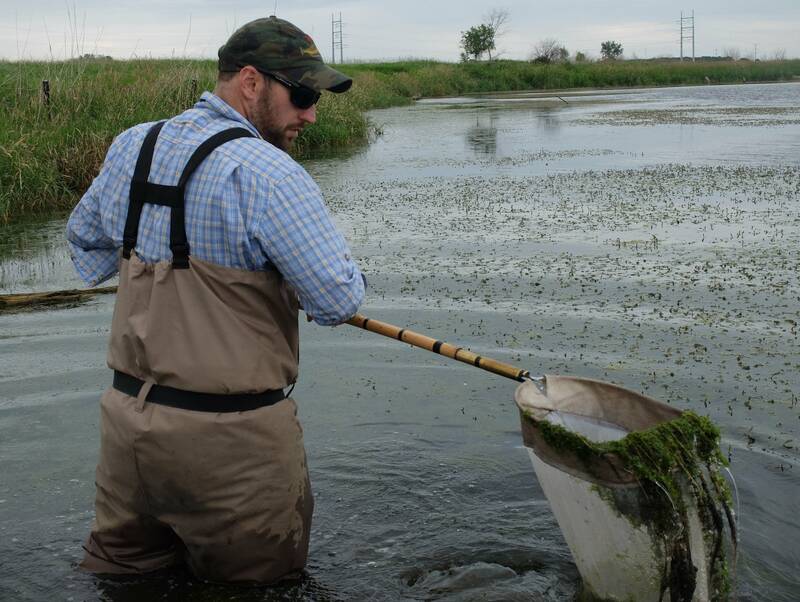 A crustacean that's a key food source in Minnesota's wetlands is in trouble — and scientists are intensely studying them in the western half of the state, in an effort to save them. Amphipods, half-inch long shrimplike crustaceans, have been in decline for more than 20 years, and scientists say only five percent of wetlands in Minnesota where they could live actually have a healthy population. Amphipods might be small, but they play a major part in the diets of salamanders, fish and migrating waterfowl. 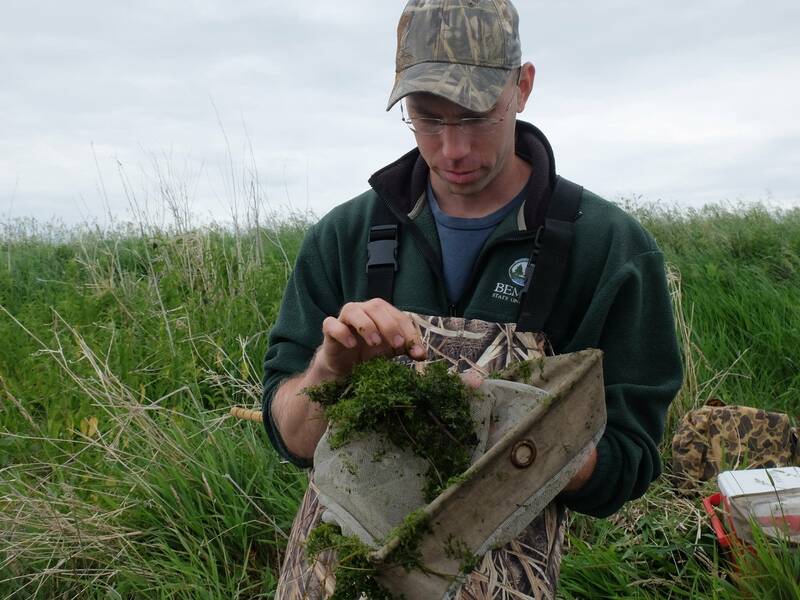 Jake Carleen, a technician with the Minnesota Department of Natural Resources, has been counting their populations in wetlands from Windom to Bemidji. "They are a super-important forage for bluebill [and] scaup, particularly when they come up in the spring. Just packed with protein," he said last week, as he dipped a net into a wetland not far from Fergus Falls, to check on the amphipods there. And the health of Minnesota's amphipod population has an impact well beyond the state's borders: The region of the upper midwest and into Canada supports what's considered the duck factory of North America: Fifty to 70 percent of the continent's ducks are born and grow here each year. Carleen has sampled more than 100 wetlands this spring. He's part of a team of researchers in western Minnesota that, over the next couple years, will try to understand why these crucial bugs are disappearing — and how they might bring them back. Scientists think there could be several reasons for the decline in amphipod populations. An over-population of certain minnow species might wipe out amphipods. Changing water quality or environmental contamination could make wetlands inhospitable to them. "There is some pretty good evidence in other parts of the country that insecticides can have an impact on amphipods, but we don't have that data in Minnesota yet," said Carl Isaacson, another researcher on the team. He's a professor at Bemidji State University, and will be studying water chemistry and contaminants. In addition to being a good food source, amphipods are known as shredders: They eat algae and bacteria off of decaying vegetation, and in doing so help break down the material at the bottom of a wetland. Amphipods are also a good indicator of overall wetland health. In fact, scientists often use them in the lab to test the environmental impact of chemicals. "You can think of them as like the canary in the coal mine," Isaacson said. "They're very sensitive to a lot of environmental disturbances, so if the amphipods are declining it could be a sign that other things are also going to be affected." 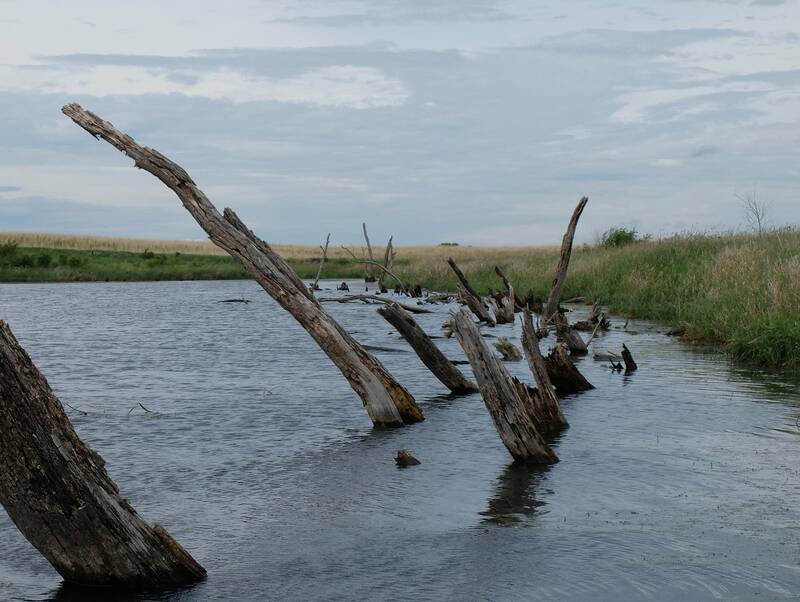 Thousands of wetlands dot western Minnesota's prairie pothole region, but the amphipod populations vary widely from one to the other, and scientists hope to figure out why. At the site Carleen sampled last week, there are three wetlands a few hundred feet apart from each other. Only one has a significant amphipod population. "Interestingly in some wetlands, amphipods are doing exceptionally well," said project leader and DNR research scientist Danelle Larson. She hopes that understanding these "super wetlands," as she calls them, might be the key to restoring amphipod populations. Larson is intensively studying 50 of the high-population wetlands across the state to see what makes them so healthy, and another 50 low-population wetlands for comparison. In a super wetland, thousands of amphipods might grab your legs if you wade in the water. In an unhealthy wetland, they might be nearly invisible. The goal of Larson's three-year, $500,000 study is primarily to understand why amphipods survive in some wetlands and not others. But the study will also test the idea of stocking wetlands to restore the crustacean. "Admittedly, the idea of stocking invertebrates by the bucketful is quite strange, but intriguing," she said. "People often think of stocking in the context of game fish and not bugs." Last winter, Larson and her team made their first attempt at stocking: About four million amphipods were dumped in a 40-acre wetland where the researchers knew there had been a high population in the past. 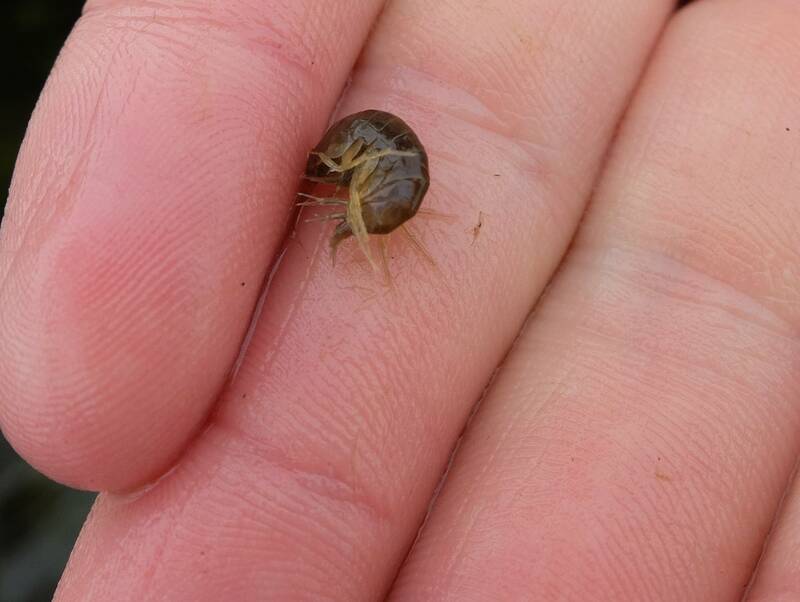 Winter is the best time to move amphipods because, while they live in the weeds and muck at the bottom of wetlands in the summer, they gather just below the ice in winter, making it much easier to collect large numbers. Cold water also reduces stress on the bugs during the relocation process. A Minnesota bait dealer has developed an underwater drone with a net attached that sweeps up large numbers of amphipods under the ice. Stocking wetlands isn't a new idea — some conservation groups and private individuals have dumped amphipods into wetlands to feed migrating ducks over the years — but Larson said there is little data on how it affects the long-term health of the wetland. 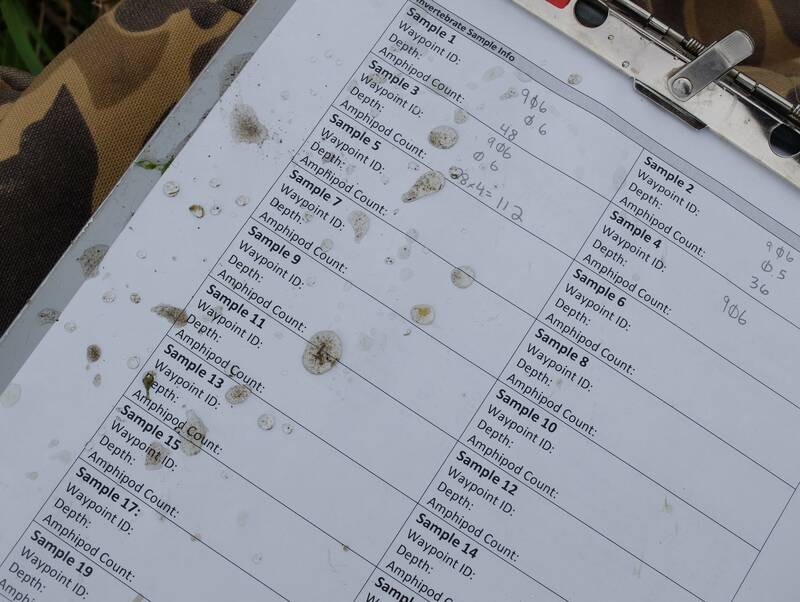 Larson says it appears that most amphipods they dumped into new wetlands last winter survived the process, but success will be measured by whether they establish a healthy, long-term population. "Amphipods are able to reproduce really quickly and explode in population. So, if we can create the right habitat conditions, we hope even with predation by fish, salamanders and birds, they are able to sustain themselves," she said. As the study moves forward, Larson wants to try stocking amphipods in wetlands across the state. She's also looking for private landowners who might be interested in participating in the study. 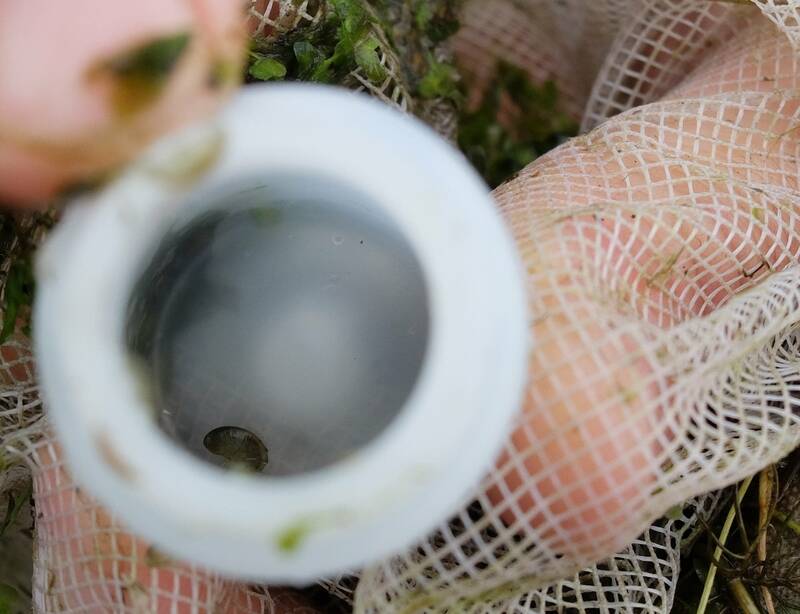 If she and her colleagues are able to prove the concept in western Minnesota over the next couple of years, amphipod stocking could have implications for wetland management across the upper midwest and Canada.